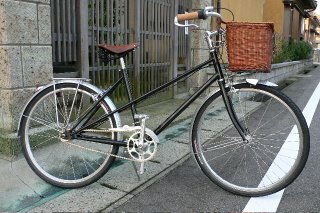 You may remember this post from a few weeks ago about ALPS cycles of Japan closing with the retirement of Hagiwara-san. 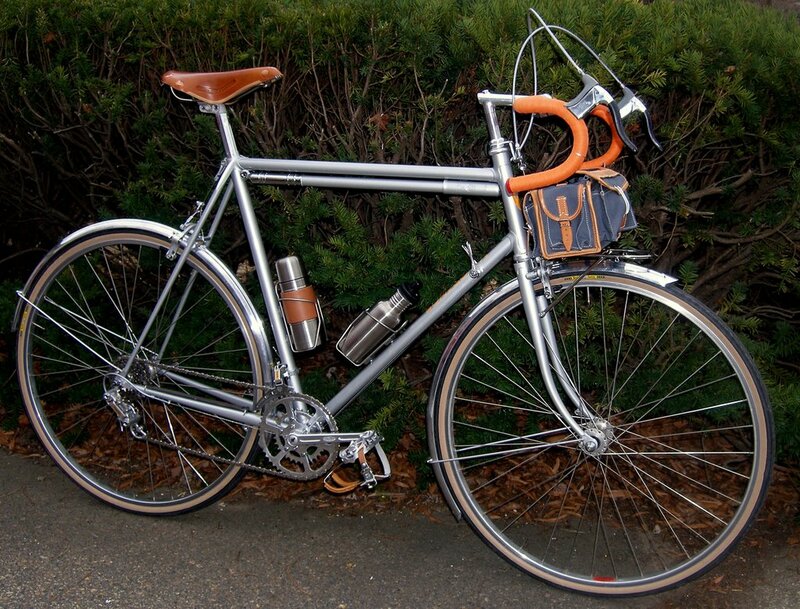 Peter Weigle styled his latest bike as a tribute to ALPS. Of special note is the flashlight bracket on the fork blade which Wiegle-san made and is a copy of the one on this ALPS pass hunter. 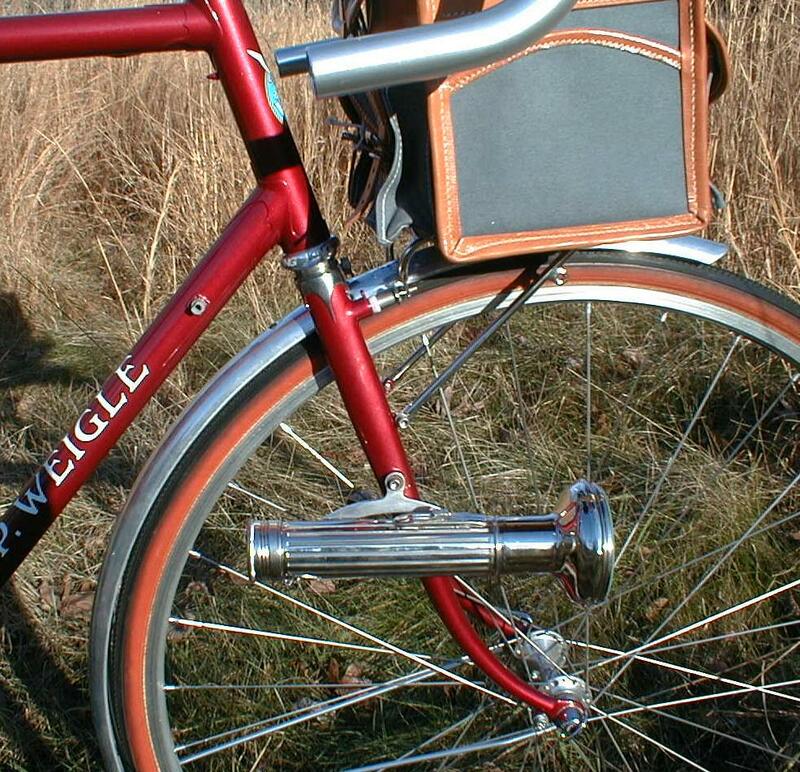 You may also notice that it holds a Velo Orange Retro flashlight. 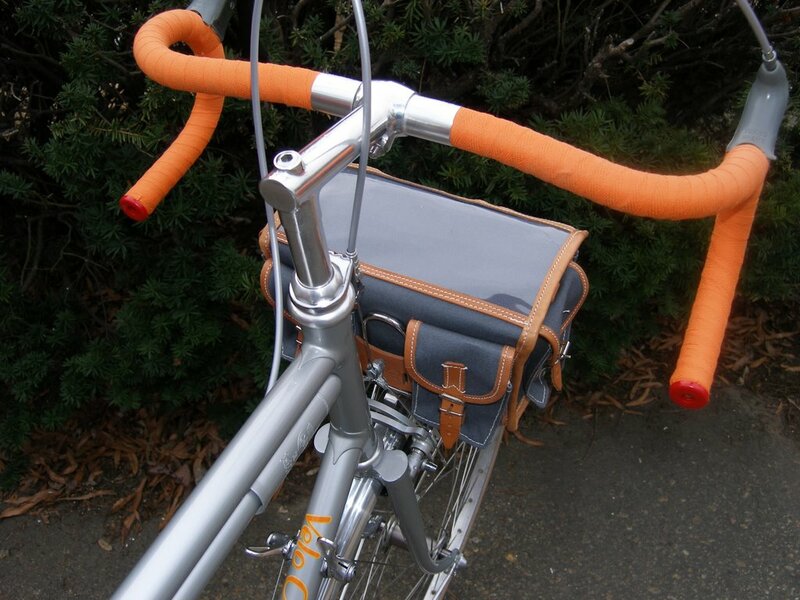 The frame-mounted bag and carrying strap is also neat and very practical. "As a custom builder I was saddened to hear a comrade would no longer be lighting the torch. I felt inspired to show my respect and pay some sort of tribute to Mr. Hagiwara's work. 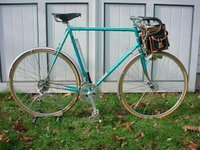 This bike was in the works for a good friend, and customer from Boston when the blog entry, Alps to Close went up. 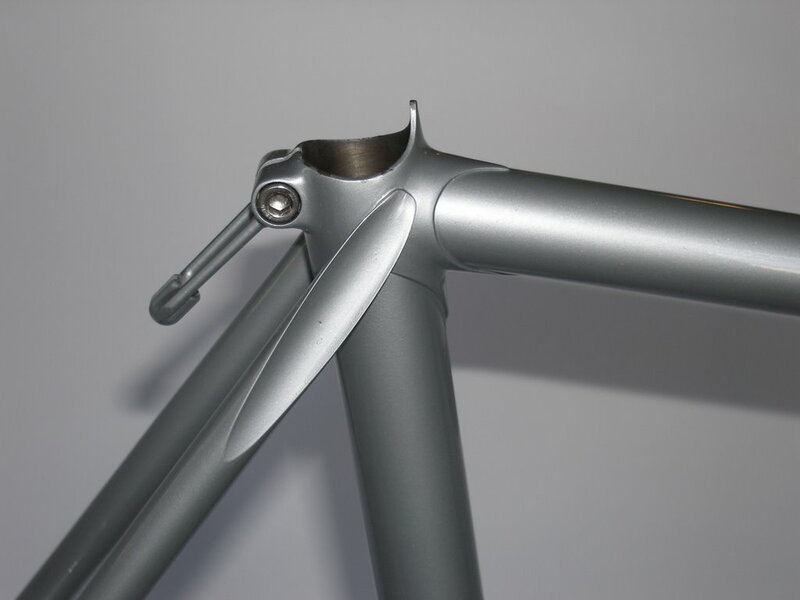 My customer had spec'ed many of the details for this bike like the brazed on Mafac centerpulls, the geometry etc., but also wanted the design details to flow as I was building it. He did not want a hand in the color choice, or the exact way I would do each piece,,, "surprise me he said". When I saw Alps to Close it all came together. I brazed on a light boss,built the flashlight mount, ordered a light from Velo Orange, and scrounged a shoulder bag from E-bay. I took the shots in a field across the street from my shop, and Chris was kind enough to put them up. My customer will use this bike as a commuter, Sunday rider, and will get it dirty at next years Deerfield Dirt Road Randonnee. In other words, this bike won't be a wall hanger! 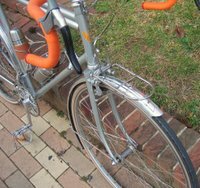 It will be used and cared for the way Mr. Hagiwara would want his Alps bikes to be used and cared for. It will be ridden hard and treated with respect. Thanks for all of your great work." Coincidently I just received a genuine ALPS flashlight bracket from Ernest in Japan. The photo doesn't show how beautifully made it is. I guess we'll have to build a pass hunter around it ;<) . 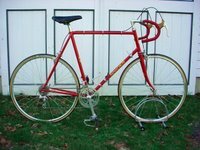 Since we're talking about things Japanese, I wanted to share a web site: http://www.kimkaz.com/ , that Ed Braley found and posted on the 650b list. Unfortunately this site might not work perfectly with Firefox browser (so you may need to launch creaky old MS Explorer). 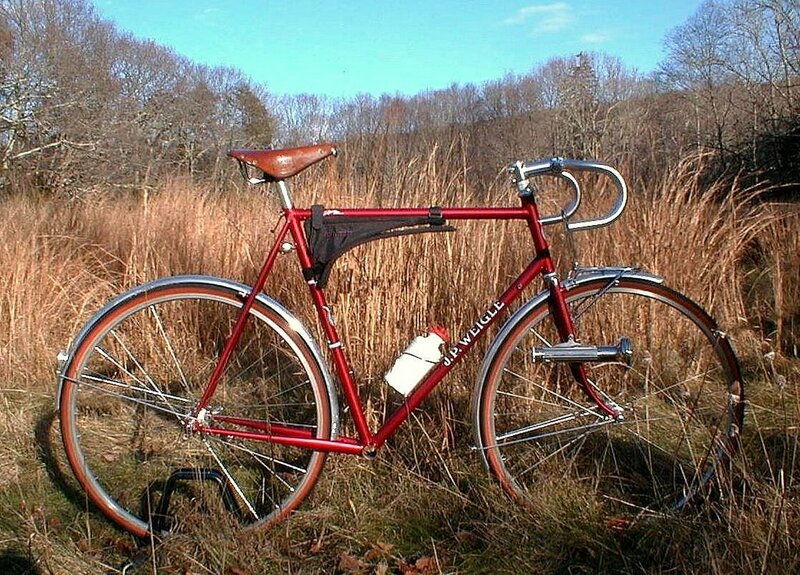 And don't forget to turn on the sound and look at the randonneuse. It may take some time to navigate this site, but it's worth it. 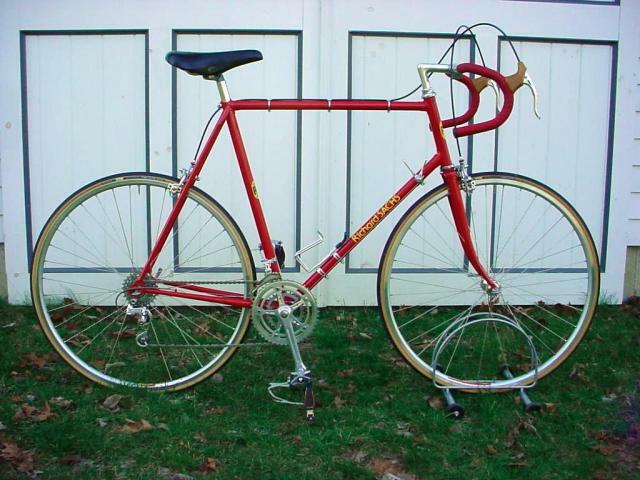 Ed also found this link showing a 1975 Bridgestone Grand Velo Randonneur. 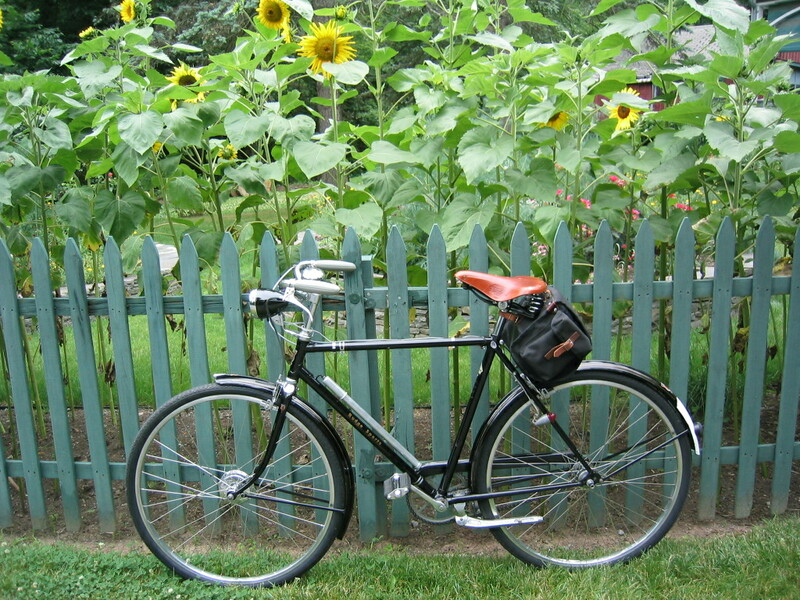 Here are a few more neat bike photos you've sent. The first two on the left are of Steve Palincsar's Kogswell PR, with a few Velo Orange parts. 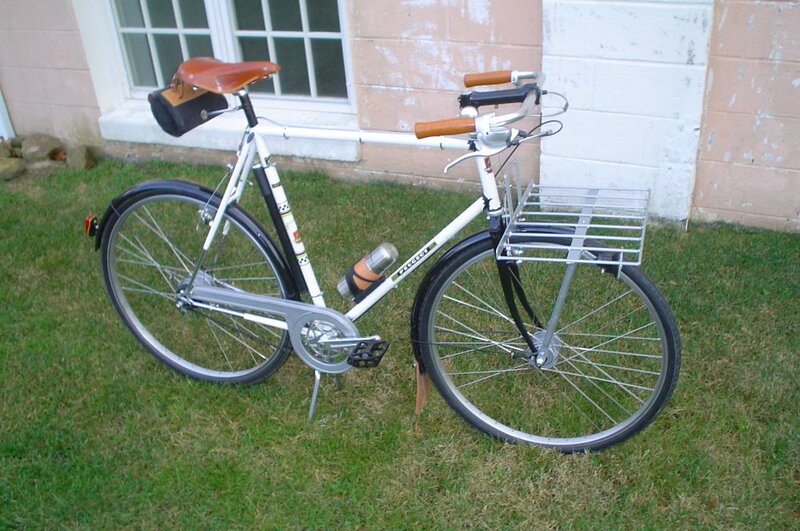 I like the front panniers. There are more photos here. 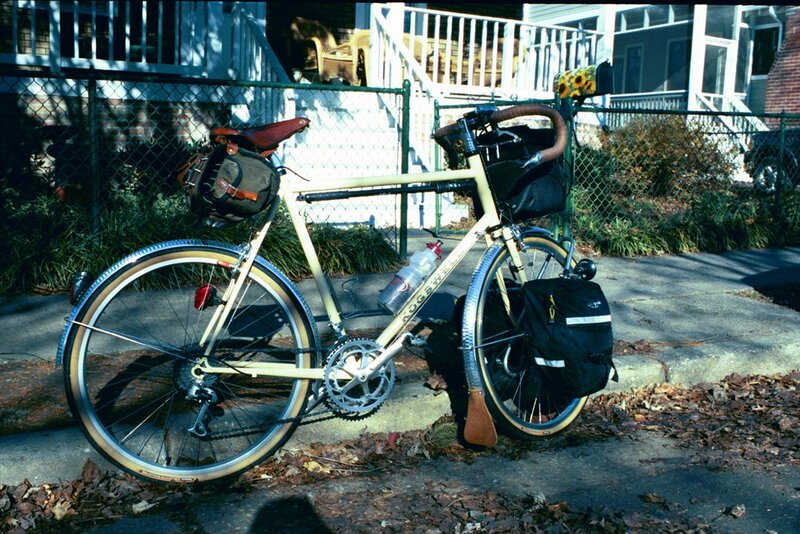 On the right is David's cool Peugeot-PX city bike with a Nexus hub and great front rack. "From the Windsor Family Bicycle Collection. 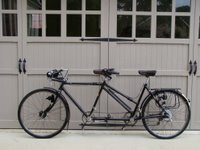 The Curator of the Bicycles said this Tandem was in the bicycle shed when he came to work for the Queen Mum many years ago. 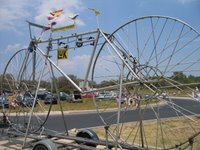 He stated it was not to be ridden because of it's connection with Senior Royals, however there is 2,409 miles on the cyclometer & has war-time lighting. 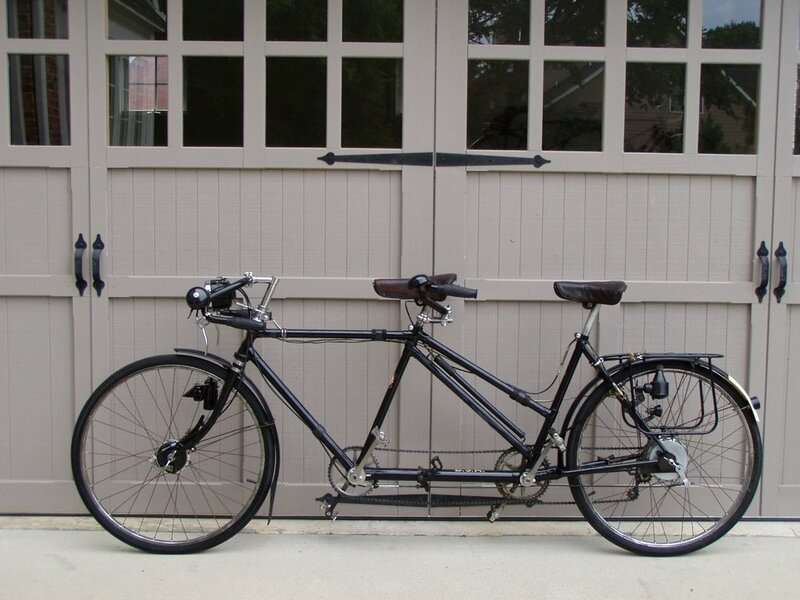 I presume this Tandem was a gift to King George V & Queen Mary in 1935 for their Silver Jubilee. 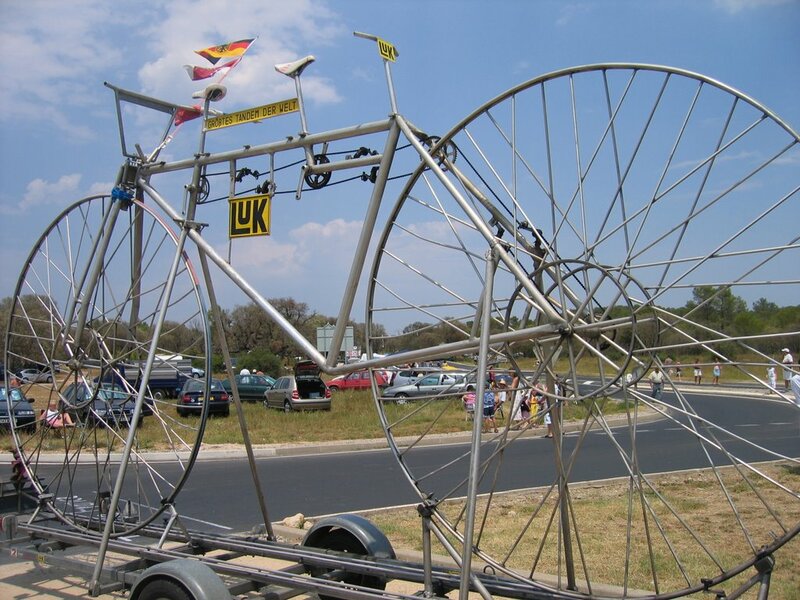 This Bicycle was Purchased from U K Auction." We have a few more new-old-stock products for your amusement. 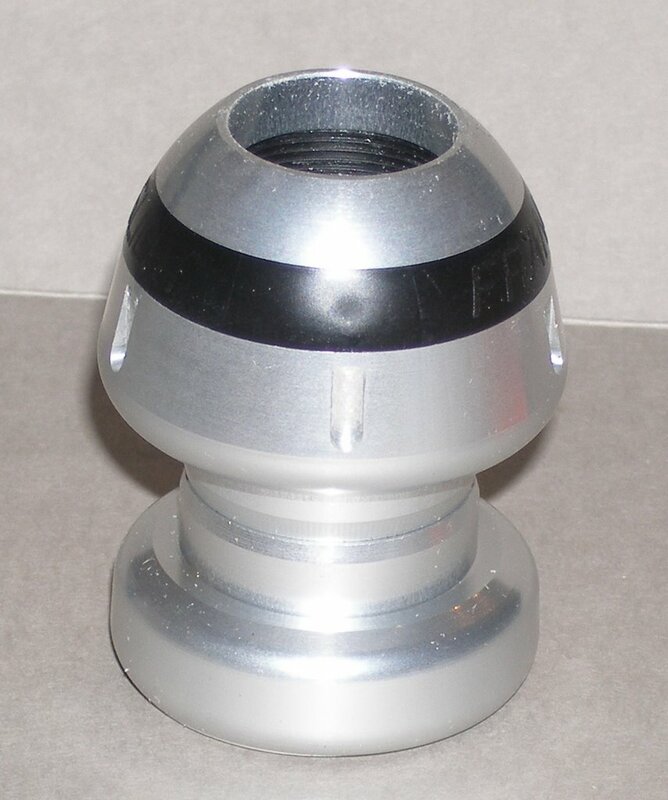 We found just a few Edco chromed steel headsets. 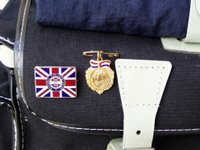 The Sport and Elite models are available in British thread only. CLB aluminum brake cable housing is extraordinarily light and very nice looking. 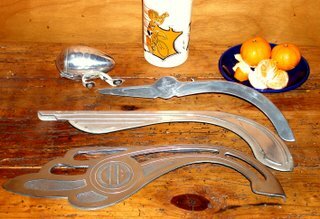 We have it in silver, by the foot, complete with Teflon lining. 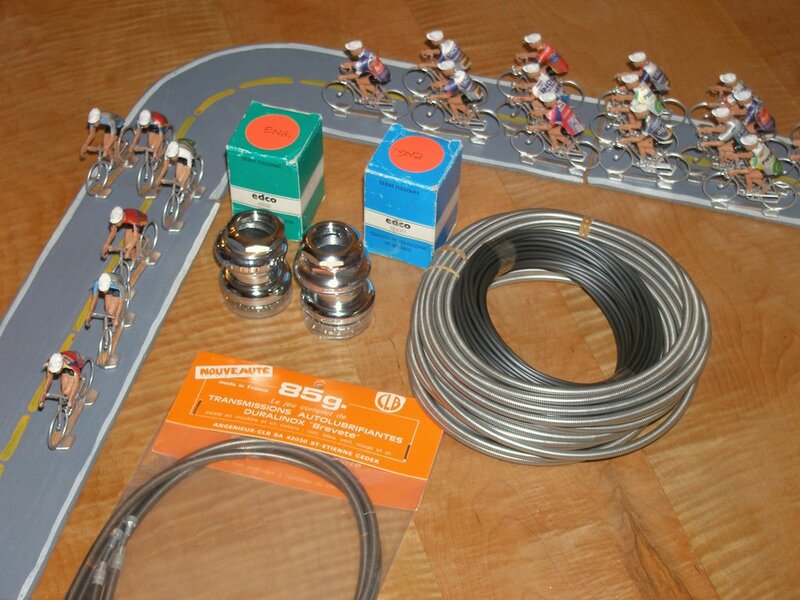 It's also available as a kit with cable housing, cables, and aluminum ferrules. The whole kit weighs only 85 grams. 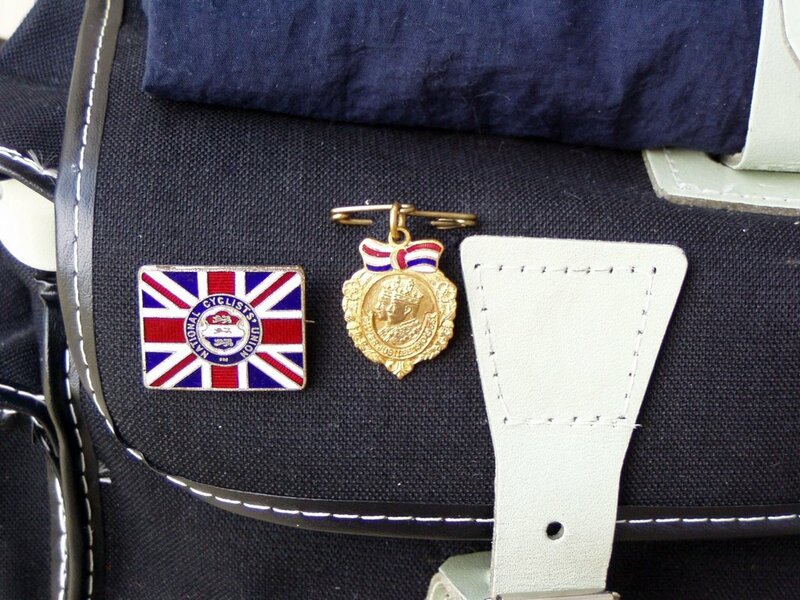 We'll also stock it in "champagne", a light gold color. 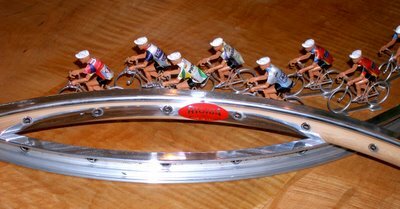 The little racer figurines are a Christmas gift I found for my son. We might be able to import them if enough folks are interested. My new VO frame is built up, but there is still more to do. 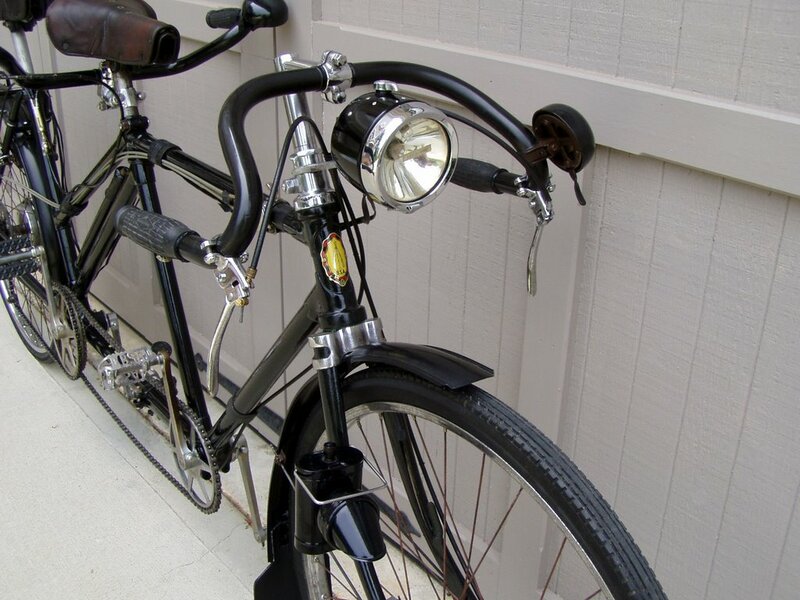 I need to shellac the handlebar tape, mount a bell, build new wheels, install the new brake levers when they arrive. None of that stopped me from going riding though. The bike is very smooth and comfortable even when hammering over the pave' and cobbles in downtown Annapolis. This is surprising since Ruffy-Tuffy tires are not known for a comfortable ride. The Paul brakes are surprising. They stop with very little effort, even with pads that are not yet properly seated. In fact I came close to launching over the handlebars until I got used to them. Overall I'm very pleased. There will be some very minor tweaks, but this is as fine a frame as I've ever ridden. 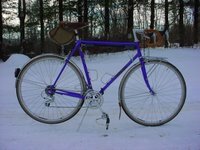 Velo Orange be closed for the holidays from December 23 to January 2. You can see a color chart here. I welcome suggestions for other good colors to use in the future. I'll have some photos of the built up frame soon. Here is the first post of photos of bikes you guys have sent me. I've made the photos small, but they get bigger when you click on them. The first photos come from Bill Talbot. The Gitane is my favorite; go to the link to see details. The blue bike is a Mercian Audax. 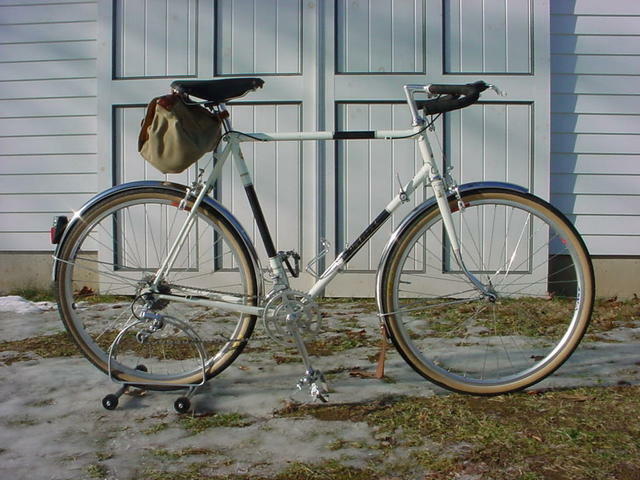 The white machine is a 1971 Raleigh Grand Prix 650B Conversion1971. That red Richard Sachs is okay too, if you go in for gorgeous and superbly constructed frames, but where are the fenders? ;<) Here is the link to more pics. 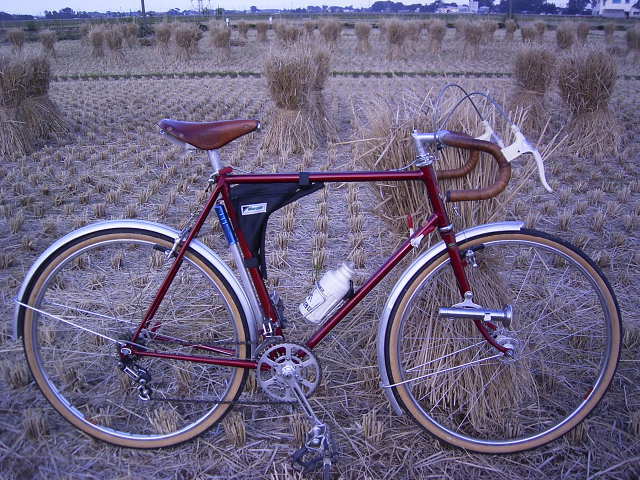 On the right is a very nice city bike, a Rudge, that is Brian Trout's favorite bike. 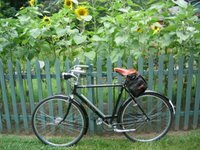 Richard Pressel writes: "Here is my bike. 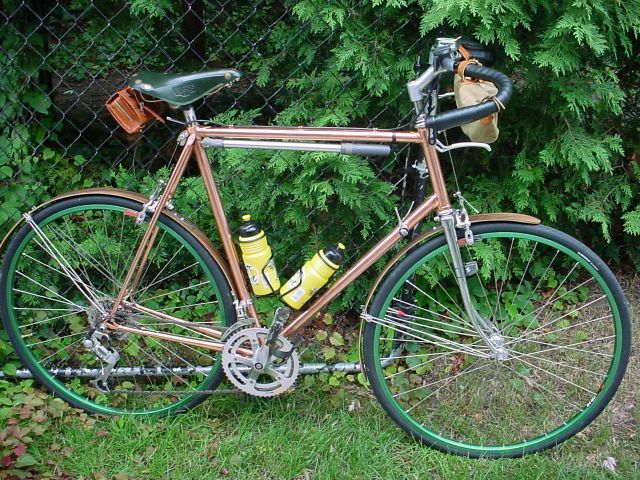 It is a steel frame I had copper plated. It has wood fenders, green anodized wheels, moustache handle bars with bar end brakes, downtube 8 speed index shifter with Mega range rear sprocket and 3 front chain rings. Topping it off is a green Brooks seat with copper rivets and rails. 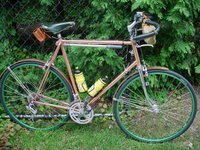 This is a rider and I put over 1500 miles since I put it together last summer including a tour of the Upper Pennisula in Michigan. Oh yes, it is called the "Copper Bopper"." 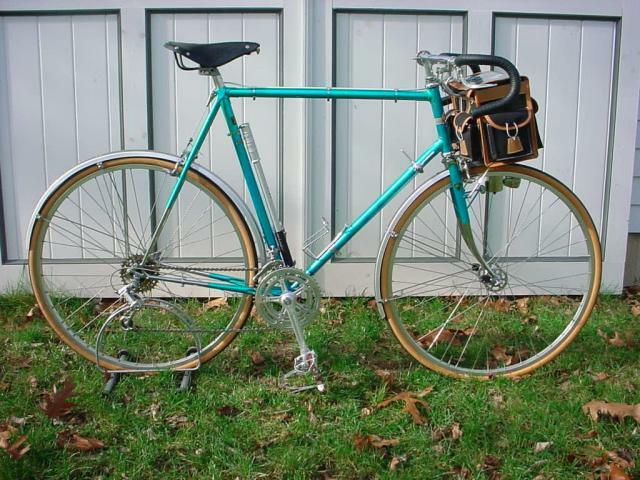 Also, I have the first Velo Orange Rando frame and I'll take and post photos of it late today. 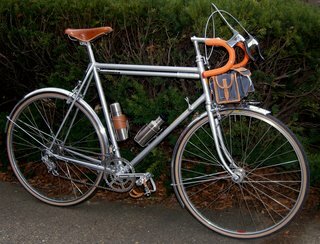 A couple of folks have suggested a gallery of owners bikes. I think that's a terrific idea and I have a plan. If you would send me a few (like no more than three) photos I'll put the best one or two up as a regular blog entry. Please also post them and additional photos to Flicker or PhotoBucket or some other photo sharing site and I'll link to them. When you send the photos, please include the word "photographs" in the title to help me sort them. I'll also include "photographs" in the post title so you can easily search the whole blog for them. Oh, and please re-size the photos to 1024 x 768 pixels or some other reasonable size. Ernest, from Japan, has been kindly keeping me supplied with issues of New Cycling magazine, as well as rice cakes. New cycling is a serious (and thick) bike magazine that might be likened to Jan Heine's Bike Quarterly, but with a wider perspective. 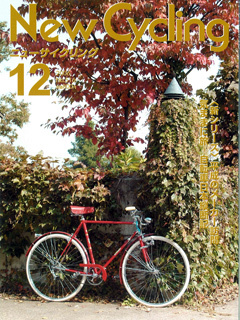 It covers not only classic bike, but topics such as local racing. 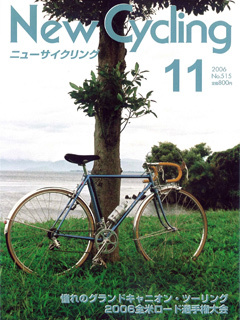 New Cycling also has special issues, or books, on subjects such as Toei bikes, Rene Herse bikes, and classic derailleurs. Ernest just sent me the the Toei book and I can't begin to tell you how great it is. If your orders don't get shipped on time it's because I'm studying the hundreds of photos in my Toei book. 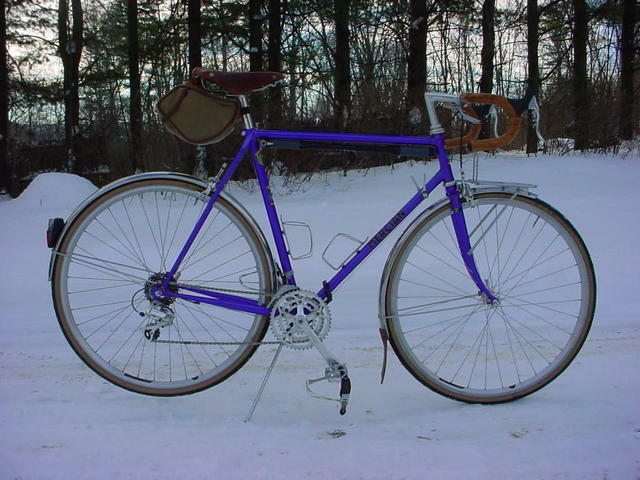 The Rene Herse book is out of print, but available on CD rom. I'm getting a copy, but at 3500 yen (not 35000 as I first wrote) they are not cheap. Does anyone think I should try to stock these. 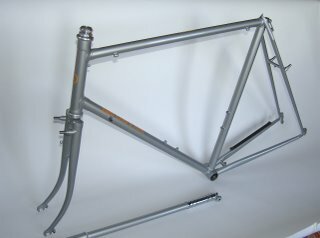 My VO rando frame is painted; I'll pick it up on Friday. This is a little like having a baby. 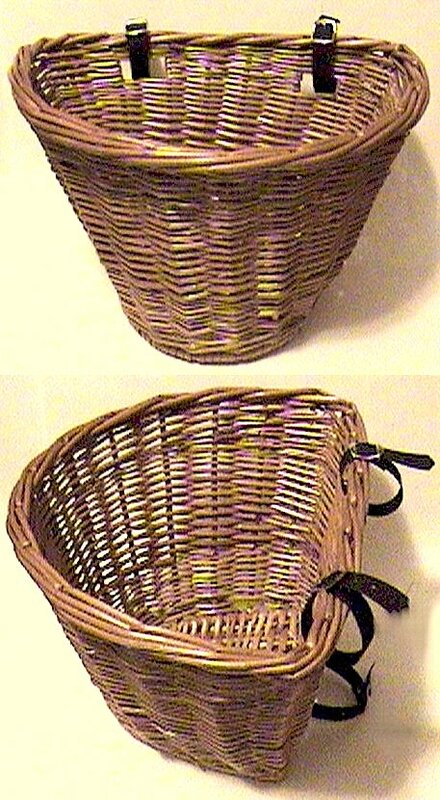 We have the European baskets now. They are nice, not superb, but nicer than those I've see in local bike stores. At $26 they are a bargain. Tho only letdown is that the straps are woven, not leather, but that's what old toe clip straps are for. We'll soon have a selection of 650b rims and tires. Perhaps even a few that are unavailable elsewhere. 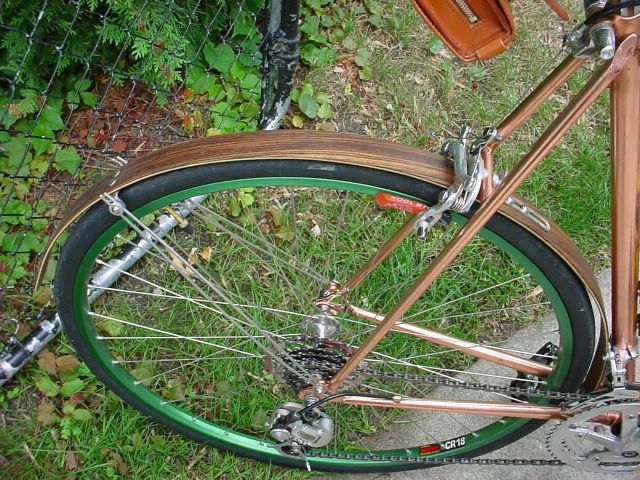 Some NOS 700c rims are also on the way, as are the soon to be legendary 30mm green label 700c Grand Bois Cypres tires. 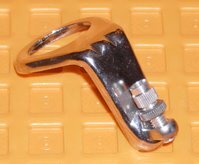 Also on the way are alloy MKS toe clips with leather shoe guards pre-installed. Finally, the now mythical VO front racks are finally in production and will arrive in late January. 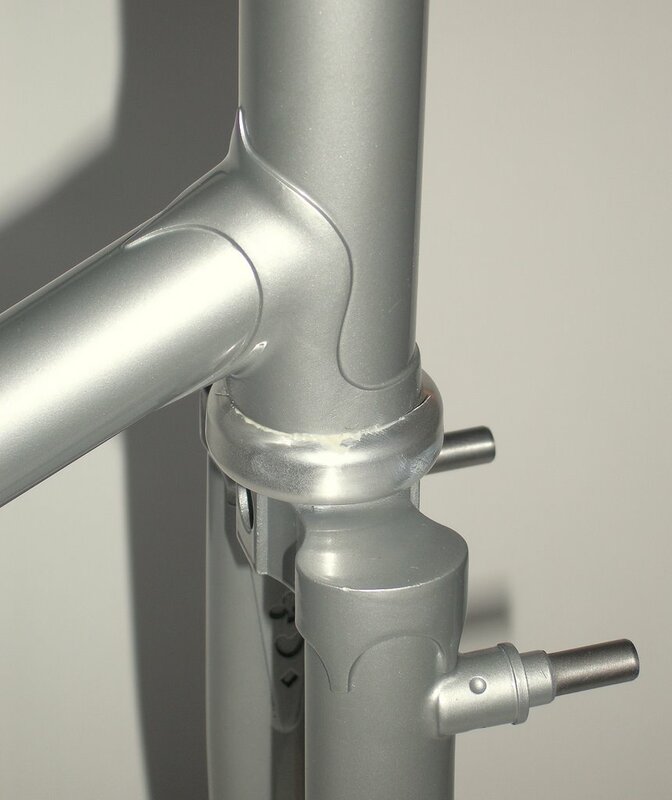 A couple of folks asked who is doing the fillet brazed city bikes. It's Ahren Rogers. Ahren was a frame builder for "Seven cycles" for five years and with that experience under his belt he's just opened his own shop. As you may know, a complete Seven racing bike easily can run over $12,000; that gives you some idea of the skill he brings to VO frames. And Ahren can built titanium frames. 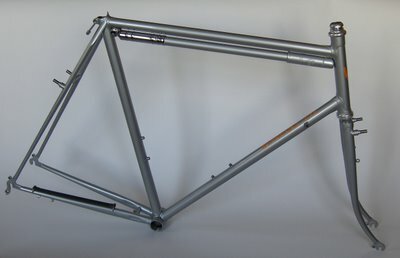 A Velo Orange Ti pass hunter anyone? UPDATE- We expect the Grand Boise tires in early to mid January. I will hold a pair for you if you e-mail to reserve them. The price is $49.50 each, or $180 for four. 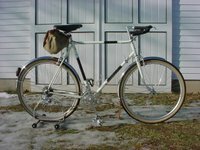 The photos are of a mixte Ernest built for a friend. 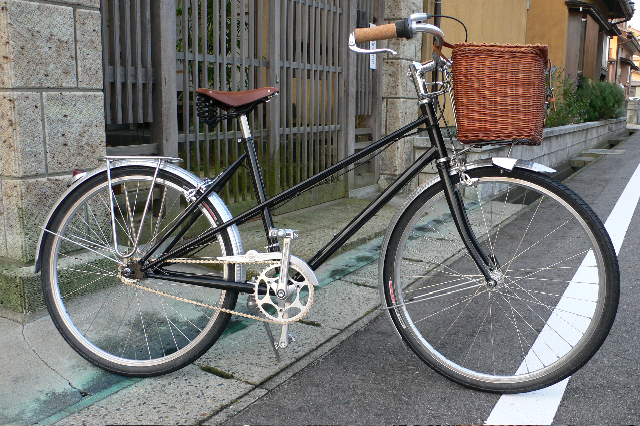 They were taken in Japan where Ernest lives and where such pretty bike baskets are still available. 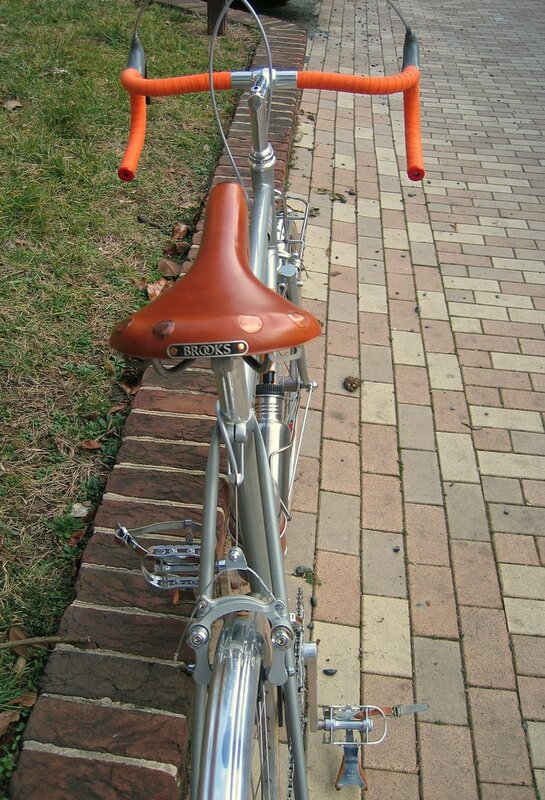 You may notice some Velo Orange bits on this bike, particularly the rear rack. This is really a lovely build. Everything just goes together perfectly. The Velo Orange city bike will also be available in a mixte version. Frame number one, my bike, is now under construction. Frame numbers two and three, both mixtes, have been ordered and will be built in January. The biggest headache in designing these is picking the colors. I just can't decide on colors. 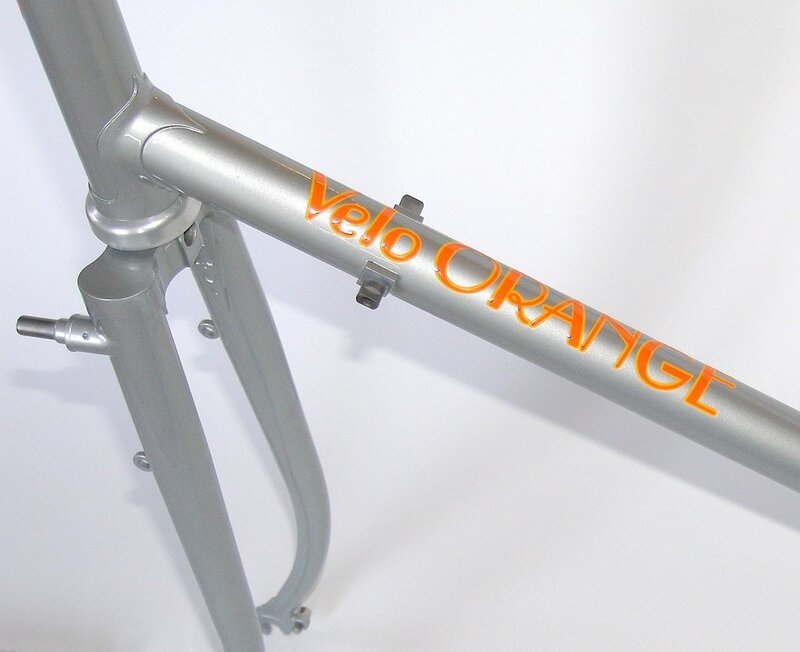 As it stands now the color choices for the VO city bikes will be black, light blue, and full chrome. But that will almost certainly change. Any ideas? 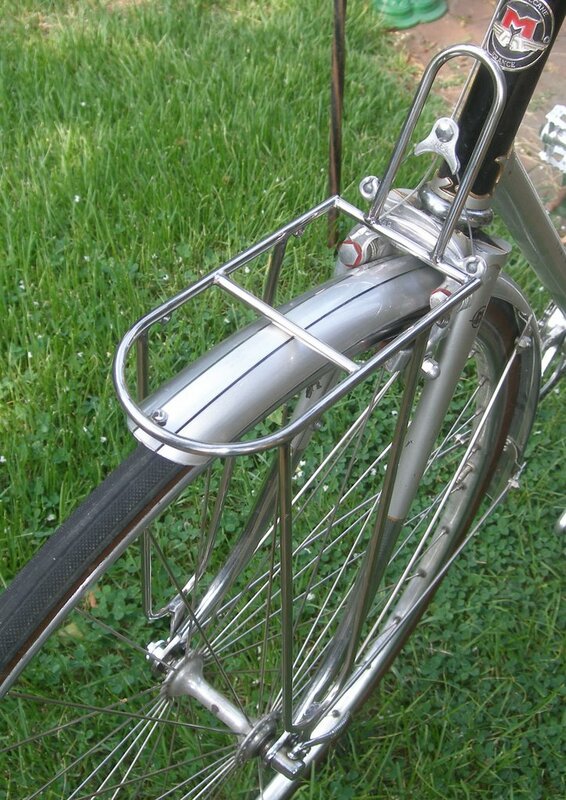 Accessories for elegant city bikes are in short supply. 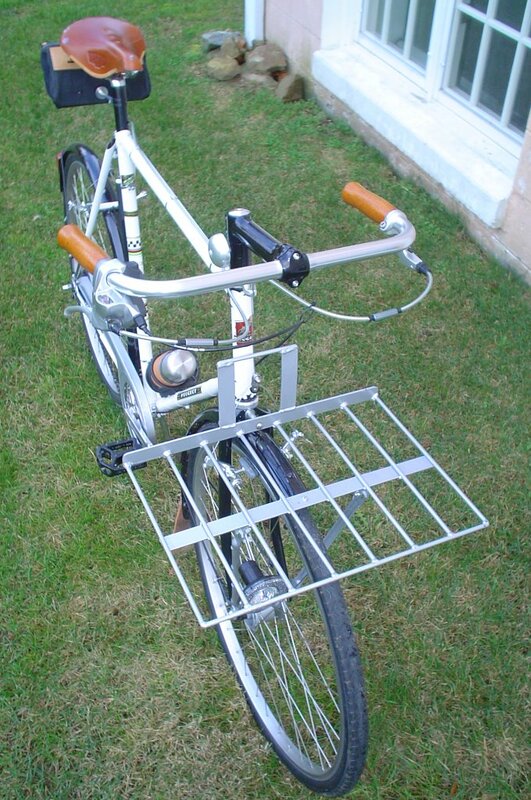 Almost all bike baskets sold in the US today are of truly awful quality. Even the ones from supposedly high-end companies leave a lot to be desired. We just ordered some made of willow by craftsmen on a small island in Europe. Hope they're nice. High quality chain guards are another item that's hard to find. We may have to have some custom made. Finding the parts for an elegant city bike has been, in many cases, harder than parts for the rando frame, but I'm not complaining; it's a lot of fun. 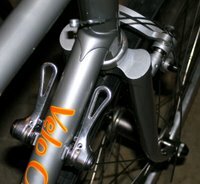 What do you think of the chain guards for the first few VO city bikes? When we can find these NOS old French guards we'll sell them, but only with a frame. Cars with wreaths on the front bumper have always seemed silly to me. If you're going to decorate a vehicle it should be your bike. Not by hanging wreaths though; they are hardly aerodynamic, never mind the weight. 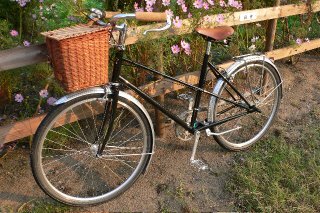 We've found a couple of pretty new items to liven up your bike for the holiday. The first is these lovely laminated Ale toe straps. They have nice soft pads under the buckles and are embossed with a glittery gold logo. Right now we have them in Christmas red, but we'll be getting some in Hanukkah blue soon. 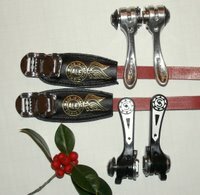 Next are genuine brand new Simplex retro friction shift levers. These are the pinnacle of friction shifting technology. The two types on the right are in stock right now. They are made of delrin with a festive metal decoration on top, but the inside bits are genuine French metal. These are expensive, but they are also rare. And we paid a lot to rescue them, otherwise they might have languished in the dark corner of a warehouse for another 30 years. We'll soon have some of the pretty spoon shaped retro friction shifters that Simplex made for Gipimme. There will be just a few of these since I'm keeping a couple for myself. The levers on the left we don't have yet. That's my personal set, but we're still looking. Simplex retro friction levers last almost forever, but they should be cleaned every decade or so. Here's a good article on the subject or here in the original. 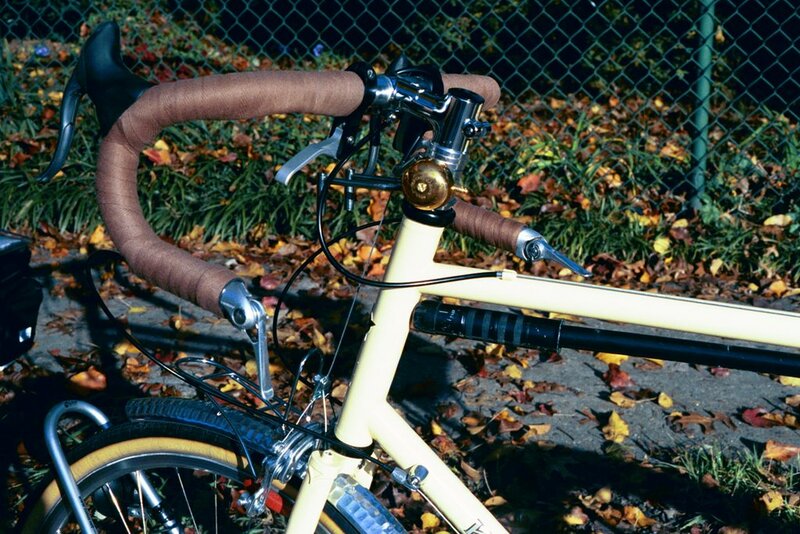 By the way, this article shows the one other style of retro friction levers that I'm aware of. 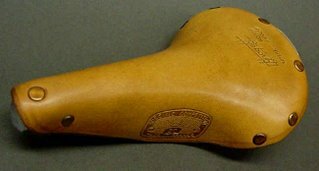 Our Italian saddle covers sold like the proverbial hotcakes and within a couple of weeks we ran out. Ever since, we've been getting e-mails asking for more. Judging by the time the new shipment is taking to arrive I fear it was sent by gondola. 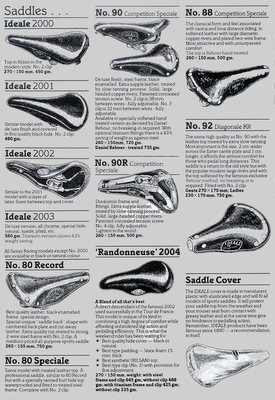 So we did a little research and found a waterproof saddle cover made in the US. The Aardvark cover looks thicker and more durable than the Italian version. Like the Italian cover it is waterproof and basic black. So not only will it protect your expensive Brooks or Ideale saddle from the elements, but potential thieves will think it's cheap plastic seat. The cost is $9.75. Did you know that the Rebour process of softening saddles was invented by Daniel Rebour, the wonderful illustrator whose drawing often appear in this blog and are the mainstay of the The Data Book? So a honey titanium-railed Brooks Pro is going on my bike, after I take the photos that is. The images are from Classic Rendezvous Ideale page. We have a couple of new items. These are all things I found in small quantities, but are special enough to be worth putting in the store. 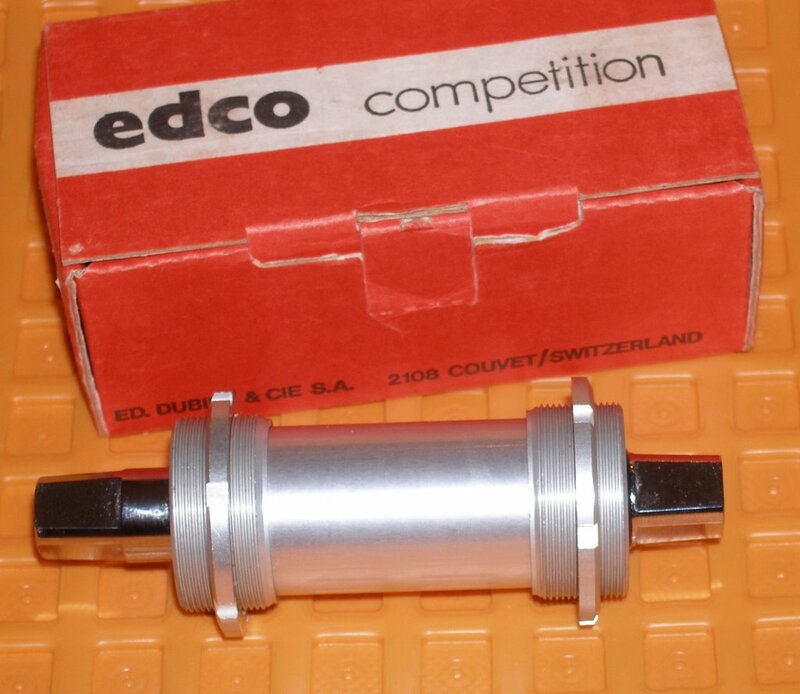 Next are Edco Competition bottom brackets from Switzerland. 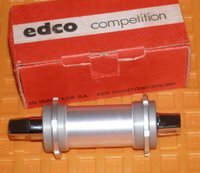 Edco makes some of the nicest components and these sealed bearing BB are no exception. But what's really special is that they use two cups with lockring so they can be adjusted back and forth for a spot-on perfect chain line, it's that famous Swiss obsession with precision. $78. 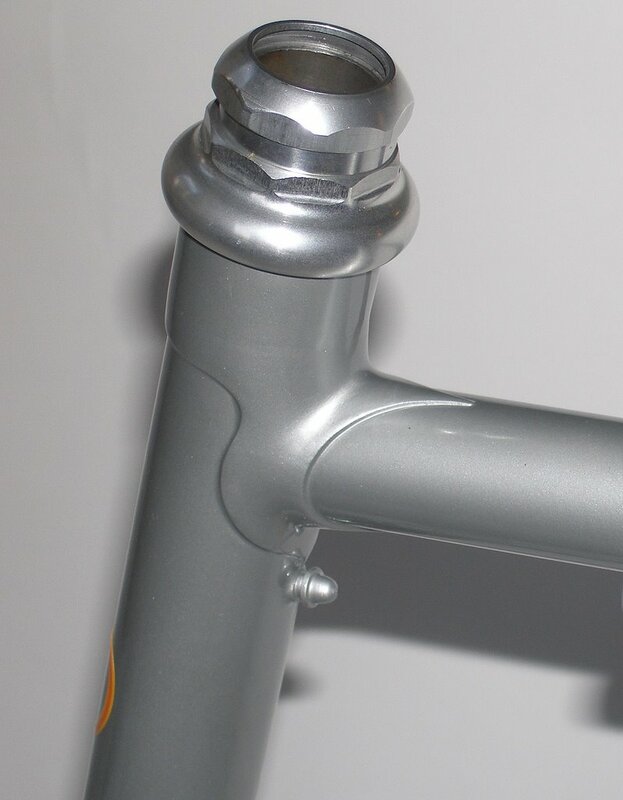 It's hard to find nice old school front cable stops, especially with barrel adjusters. We have just a few chrome plated Dia Compe stops. 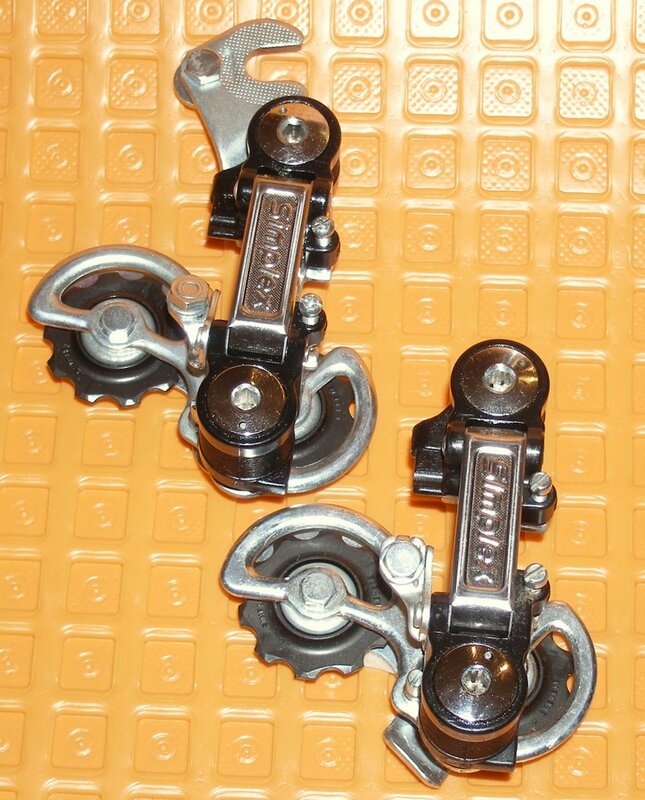 Finally we have some late model entry level Simplex derailleurs. I'm told these are much better than the early plastic models, but I have not used this version. Actually the plastic Simplexes usually shifted well when new, but wore out quickly. Only the models with plastic parallelograms were awful and gave Simplex a bad name. Anyway, they only cost $12 if you want to try one. I'll have everything in the store over the next few days. There is some neat new stuff coming next week too. 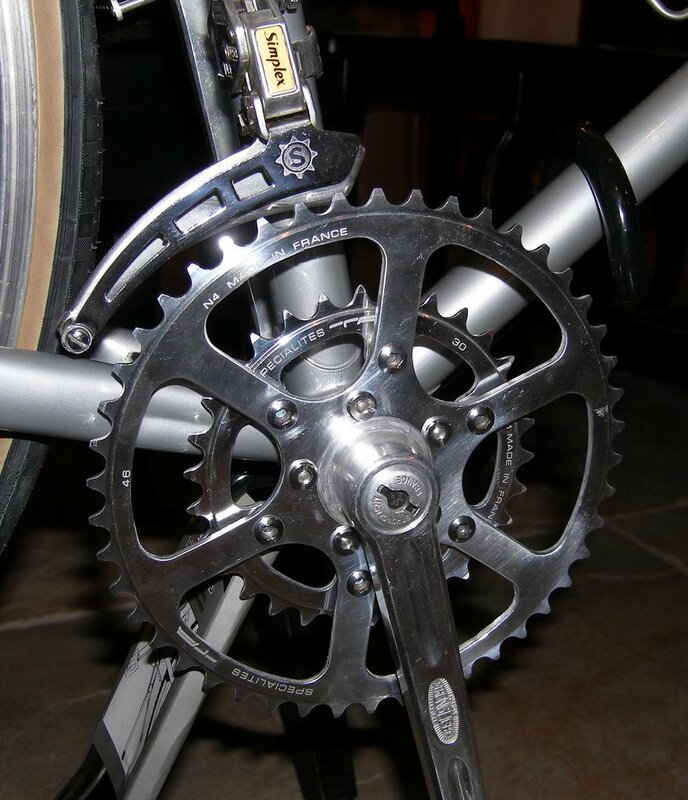 Who wouldn't want a classic Stronglight or TA crankset on their Randonneur, especially if they could get it at a bargain price. Okay, some of you (Neil) wouldn't, but pretend for a minute. One way to save money on old French cranks is to buy the ones that have French pedal threads. Some cranks are rare with anything but French threads. 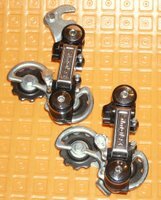 French threaded pedals are getting hard to come by, though VO can still get them, and the price for those pedals seems to be climbing, while the prices of the cranks drop. French pedals have 14mm x 1.25mm thread while the far more common and slightly larger English size is 9/16" x 20. It's about 10 minutes work to convert French threads to English. 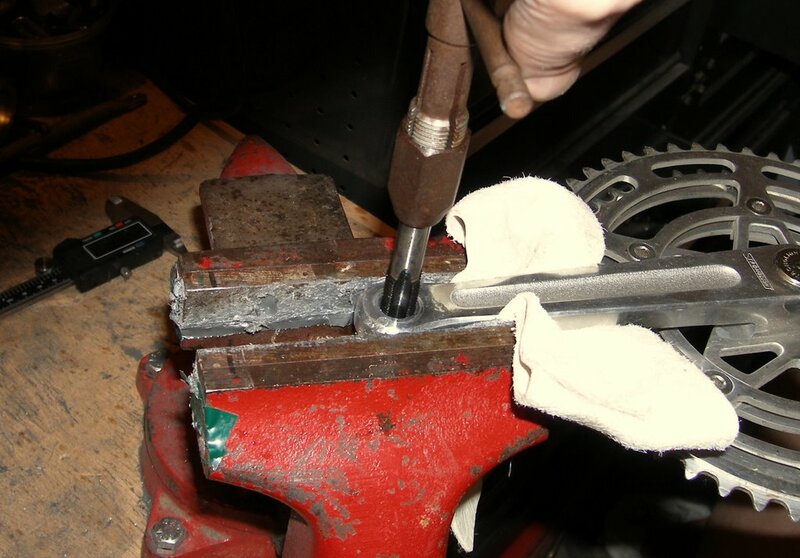 Most bike shops can do this, but with about $35 worth of tools you can do it yourself. 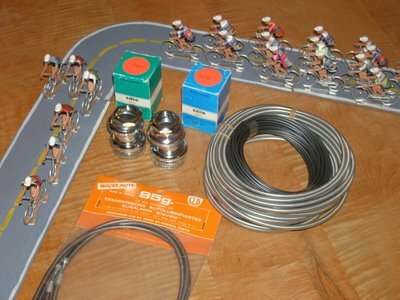 You'll need a set of English pedal taps. Park, VAR, and other tool companies make these. You'll also need a tap handle and a little cutting oil (thin machine oil or kerosene will do). First wrap a rag around the crankarm and secure it in a vice or ask a friend to hold it on a flat surface. Next, remember that there is a left hand and a right hand tap; select the one that matches the crank. Put the tap in the handle and squirt some oil on it. Thread the tap into the pedal hole. After each half turn, reverse direction for about a quarter turn. 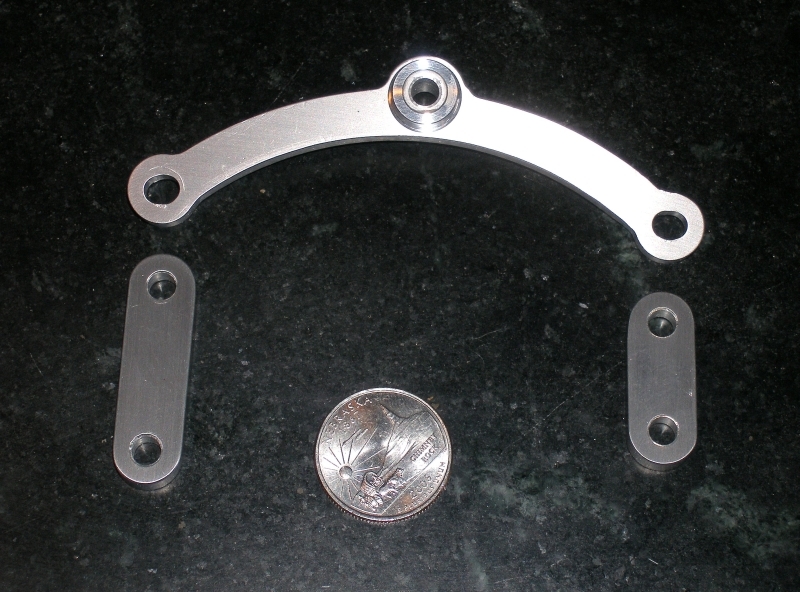 This breaks and helps clear the aluminum chips that would otherwise clog and damage the threads. 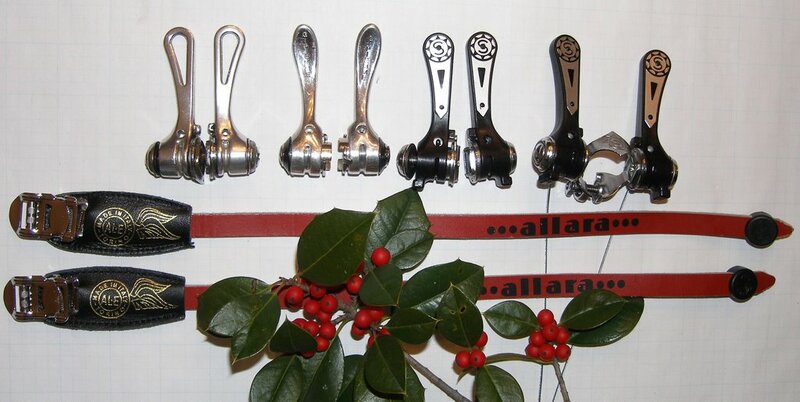 You can get an even better deal, like free, on cranks that have stripped threads. Stripped threads can usually be repaired by tapping the hole to a larger size and screwing in an insert called a helicoil. Be sure to put a little grease on your pedal's threads before installing them. 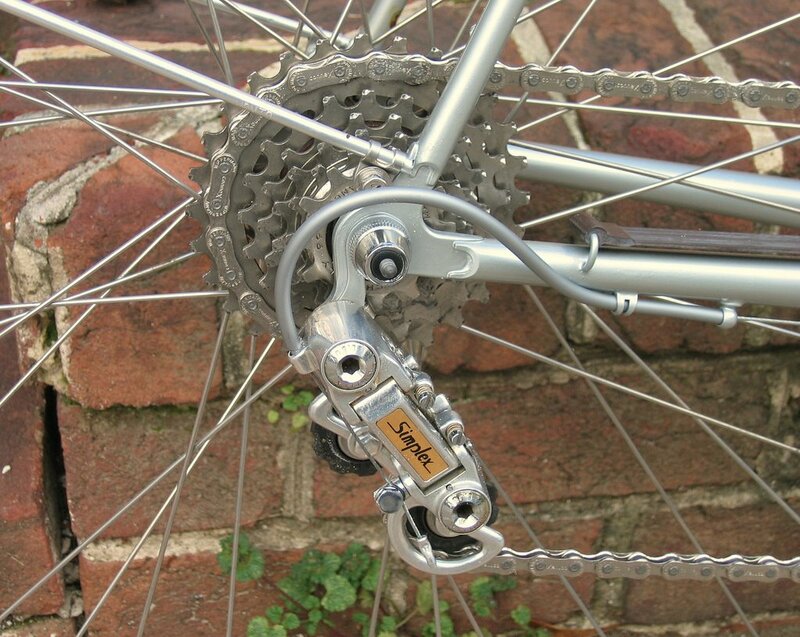 And use pedal washers so they don't damage the crank and can be easily removed later. I have jury duty starting tomorrow. Orders will still be shipped in the usual timely manner by AN. But I'll probably fall behind in answering e-mails. The photo is of the Devil's bicycle. He's that guy that runs alongside the racers in the Tour de France. We parked across the street from his van and bike at a TdF stage. Click to enlarge; the details are pretty wild and it's supposed to be rideable.